Best WEB HOSTING Services Perfect For You! 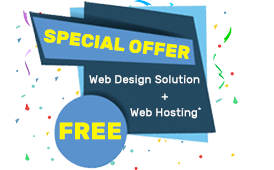 Fast, Secure, Reliable and Cheap web hosting solutions with premium freebies. We Provide Top WEB HOSTING Tools for FREE, making your Business a grand Success Now! Our highly configured servers with fastest SSD`s performing at blazing Speed, can deploy your applications within a minute. We provide full Scalable Solutions built on hybrid infrastructure that grows with your business. ScopeHosts Award Winning Support is available 24/7/365 with our expert engineers to assist you anytime. Build and Host your Business on the Secured and Robust Environment. Cheap Web Hosting Solutions, Fully Managed Just For You! Be a freelancer or a big enterprise, we have Best Managed Solutions for you. Suitable for a New Project or Informational websites with less database. Suitable for a beginner blogs, blogging geeks or enterprise blogs. Ideal choice for Forums, Portals, Online stores and E-commerce websites. Best Suited for business startups, freelancers and established resellers. 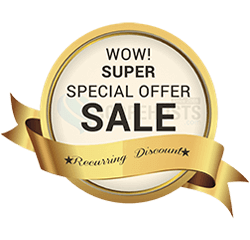 Managed Wordpress Hosting LIMITED TIME OFFER! Fill out Customer Query Form Below. Our Sales Experts are at your service to suggest Best Solutions and clarifications related to your queries. FAQ - Have Questions? We Got Answers For You! 1. What is Web Hosting? Ans: It is the service which publishes your website online. It stores the data to keep your website up and running for your users across the globe. Uptime, Network Speed and Bandwidth are the key aspects to be considered when opting web host, as many web hosts provide varied hosting service but not of equal quality, cost and features. We offer hosting services like Shared Hosting, Business Hosting, Reseller Hosting, Managed WordPress Hosting, VPS Hosting, Cloud Hosting and Dedicated Servers. 2. Do I need to have any technical knowledge before using hosting service ? Ans: ScopeHosts has made accessing hosting services very efficient and easier. You get Industry-standard top control panel to manage your website hosted and domain facilely. Our services are equipped with FTP feature to make it very simple for you to upload your website. If you are newbie to hosting services then our support team is available 24/7 to assist you and resolve all your queries via live chat, Email and ticketing system. 3. What is Domain Name ? Ans: Domain Name is the name of your website. Every website has a unique domain name. Get your website domain name registered with domain registrars or web hosts, who also provide domain registration service. Domain name points to IP address, which a series of 10 numbers. As it is very hard to remember IP address of website, the domain name serves as the alias for IP address. 4. Do I need to register domain name from ScopeHosts to buy any service ? Ans: No, if you already have domain registered and your website hosted with other service provider, then we offer free migration service. Get your website freely migrated to Scopehosts. Also we provide domain registration service. If you are new to registering domain and hosting your website then we do it very efficiently for you. 5. How long does it require to set up my hosting service account ? Ans: Well, ScopeHosts provides instant setup of your service. Only with Dedicated Servers, the server deployment takes around 1 to 5 working days. Basically the set up of your hosting account depends on the service yu have chosen. 6. What kind of hosting do I need to choose ? Ans: We offer services on both Linux and Windows platform. Which one you need depends on the website or application you want to host. Suppose you website or application is based on microsoft products then go with windows hosting. If you have doubts regarding choosing the hosting service you can contact the hosting experts of scopehosts. We are available 24/7 to help you out. 7. How do I pay for the subscribed services ? Ans: Scopehosts supports payment gateways like PayPal, WebMoney, Bank Transfer, PayU, DotPay, UnionPay, Qiwi, iDeal, Yandex.Money, AliPay, TrustPay & GiroPay. 8. What Is Virtual Hosting ? Ans: Virtual hosting is nothing but Shared Hosting, which includes operating and hosting of your website on a shared server that hosts multiple websites. In other words, your website will be sharing the server resources like bandwidth and memory along with other hosted websites on that particular shared server. This virtual hosting is a reliable and inexpensive solution for websites that do not need the power of a dedicated server. 9. Do you provide money back guarantee with hosting services ? Ans: Yes, we do have anytime moneyback policy with Shared hosting, Business Hosting, Reseller Hosting and Managed WordPress Hosting services. Also 30 days moneyback policy with VPS services. 10. Do I get additional bandwidth when I purchase any hosting package ? 11. Can I host multiple websites ? Ans: Yes. You can host multiple websites. But websites to be hosted depends on the type of hosting service and plan you have chosen. To have clear idea on what plan to be chosen, you can contact our experts, available 24/7. 12. How can I get additional support ? Ans: Contact us by visiting our contact us page. Also reach us via telephone : +91-0836-425 4321. 13. How much does the hosting costs ? Ans: Hosting plan cost varies depending on the type of service you have chosen. Every service and its respective plans are equipped with various features. If you are looking for the affordable service, then choose shared hosting service. 14. Can I upgrade my hosting account ? Ans: Yes, you can upgrade your hosting account, but only to higher plans. Downgrade option is not available. 15. What guarantee you offer with your hosting service ? Ans: Maintaining your business web presence is our responsibility, hence our services are equipped with 100% guaranteed uptime and free 24/7 technical support. 16. How do I renew my account ? Ans: Your account will be automatically renewed on monthly basis, or you can log in to client area and submit for renewal. All the accounts will be receiving reminder emails . To know more on renewal of your account, contact us. 17. What control panel do you provide to manage my account ? Ans: cPanel control panel access is given with web hosting services to efficiently manage hosting account. 18. Where are your servers located ? Ans: Our highly configured servers are located within most secured and Top Tier Datacenter, Evoswitch in Netherlands. Know more about : datacenters . 19. How can I monitor my disk space and bandwidth usage ? Ans: You can check out the disk space and bandwidth usage via your control panel or using commands. 9. Do you provide moneyback guarantee with hosting services ?